Tornum AB has completed the acquisition of all outstanding shares in Silokonsult Göran Persson AB – a Swedish supplier of machinery and planning for the grain and milling industries. The acquisition of Silokonsult Göran Persson AB will strengthen Tornum’s position as a leading supplier of grain processing equipment for industrial customers in Sweden. Revenues for the fiscal year ending in April 2017 amounted to approximately EUR 6.5 million. The revenue and the profit for last fiscal year was positively affected by a larger project. Due to the project-based nature of the business the profitability of the company is somewhat varied, but is historically estimated to have had an average underlying operating profit profitability of EUR 0.45 million annually. “The acquisition of Silokonsult will provide Tornum with products and skills that historically not have been core business for the company. A very limited number of companies in the Nordics have the same skill set as Silokonsult when it comes to applications for the agricultural and milling industries. Further, we believe that Tornum’s knowledge in the field of grain handling will have a positive impact on the performance of Silokonsult. All in all, we are certain that the merger will create growth opportunities for both the companies” said Per Larsson, CEO of Tornum. Silokonsult Göran Persson is a supplier and planning company, serving customers all over Sweden. The customer base is mainly in the grain, milling, feed, livestock and seed industries. 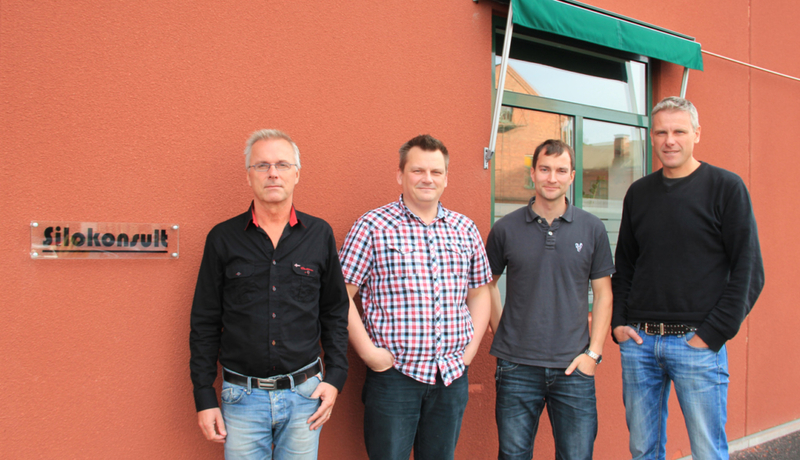 The company is headquartered in Skara, but projects are carried out all over Sweden. Silokonsult is one of the most well-known brands in the industry. To secure a successful integration of the company, the founder and former owner, Göran Persson, will continue his engagements with the company. “When I realized that Tornum was interested in acquiring my company I immediately had a good feeling. Tornum is one of the most well-known companies in the industry and I believe this is a perfect match for Silokonsult. I am confident that Tornum has great long-term plans for the business and that the ambition is to grow the business going forward. Further, I believe that there is a demand for our type of services outside of Sweden and I am confident that we can utilize this opportunity together with Tornum” said Göran Persson, founder and former owner of Silokonsult Göran Persson AB.